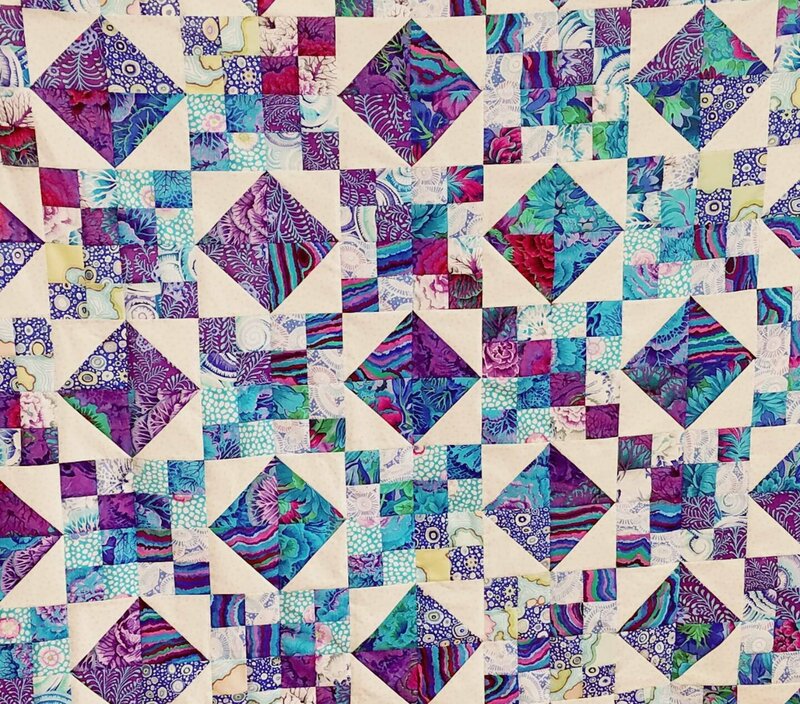 In this class you will learn the tricks to piecing triangles and 4 - patches, correct pressing techniques, adding borders, quilting and even binding. Our quilt sample in the shop measures 55" x 55" but you can enlarge it by adding more blocks or borders if you choose. This is the best class for a beginning quilter. You will learn how to choose fabrics, accurate 1/4" piecing, correct pressing, quilt assembly, quilting and binding. This class includes 6 sessions.